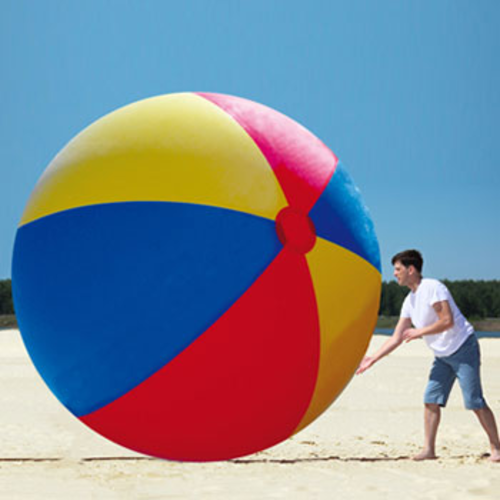 The Giant Inflatable Beach Ball measures 12 feet when deflated. Blow it up with an air compressor or pump (not included) and it measures a full 10 feet tall. Be the hit of the party with your giant ball!